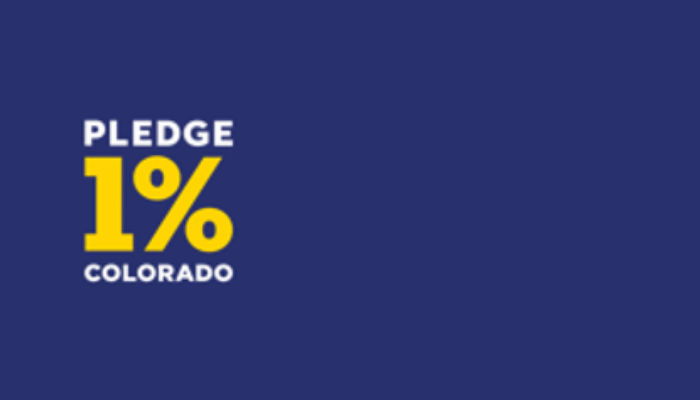 I ran across a really cool concept the other day called Pledge 1% Colorado. It’s a neat idea to support and encourage businesses to help nonprofits benefit from their company’s growth. There’s no question that business leaders are looking for creative ways to have positive impact in their communities. It’s inspiring! If all you give is money, is that the most impact you can have? Sure, money is great; you can apply it to any problem. But what has more benefit is sharing the soft stuff: expertise, connections, and effort. And there are many examples of where this kind of sharing costs you much less and has far more impact than just money. The other question about monetary Corporate Social Responsibility (CSR) donations is: Why should your employees become emotionally invested? I saw this when I worked for a large corporation. We had a great campaign every October for employees to donate to a large national charity. Over the years, they made it easier and easier for us, to the point where we just checked a box on a website and the money would be deducted from our paychecks. Monetarily, it was successful. But the employees became increasingly disengaged and uninterested. As a result, the company started participating in Make a Difference Day, where employees got engaged with doing projects which had direct impact: planting a garden, painting a house, building a website. Guess what? The employees got attached to those projects. We saw the benefit to society, we saw the smiling faces. We were proud of that contribution. Much more than ticking a box and making a monetary donation. That’s the kind of society (and companies!) that we’re looking to build. People helping. Engagement. Passion. I’ve developed a tool which helps leaders to assess how they’re doing on these foundational elements. I’ll send you a customized report when you fill it out, giving you some feedback and ideas for where your attention might give the most powerful results. Check it out!